Smaller players are beginning to make waves in the mobile hardware market place, OnePlus is probably one of the largest, but a new contender has emerged – Saygus. Saygus launched the Saygus V2 smartphone at CES this year and it immediately attracted a great deal of attention for the absolutely amazing spec list. Including top-tier components in the V2, but keeping the price affordable, Saygus is on track to build a following amongst smartphone users world wide. 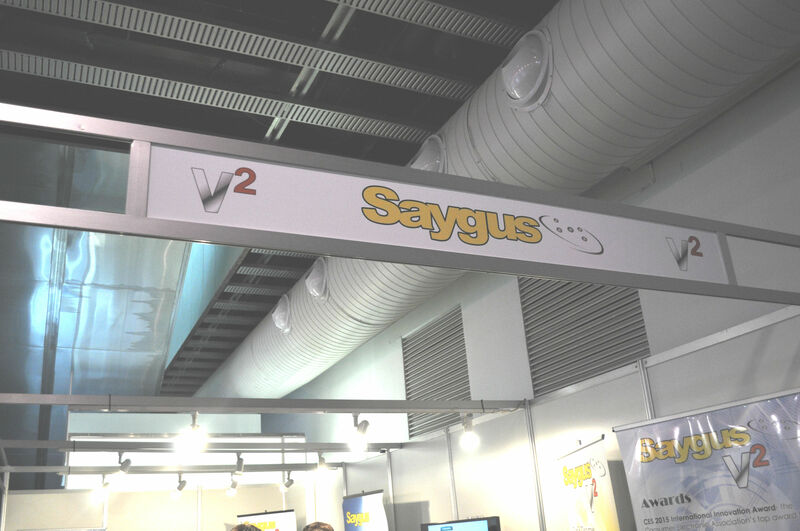 Initially the Saygus V2 wasn’t supporting Australian LTE Bands, and initially they weren’t shipping to Australia. The team at Saygus certainly heard the feedback from Australia and spoke with their antenna team who have now addressed the international LTE Band issue adding support for Band 28 (700Mhz), as well as Band 40 (Optus 2300MHz). The Saygus team have also now added international shipping to Australia. 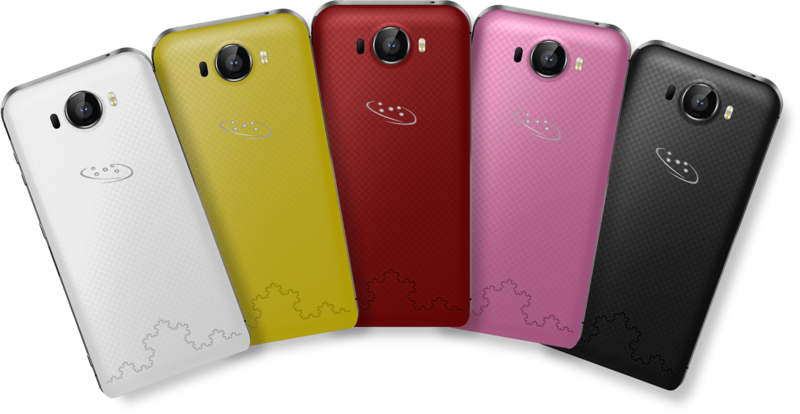 Saygus will be selling the phone in a variety of colours – there’s Black, White and Pink up for pre-order at the moment on their store but they have Red and Yellow versions in their Press kit. The Fractal pattern on the rear of the phone is a visualisation of their antenna design which lets them support so many different bands – again, it’s impressive. I played with the Saygus V2 at their booth here at MWC and it’s a nice phone. It’s still not ready to ship but it’s looking almost complete. The rear of the phone is covered in kevlar and has a really nice feel to it reminiscent of the pre-Moto Motorola phones. . They didn’t have the Yellow version available at the booth here at MWC but I did manage to have a hands-on with the Black, White and Pink version, as well as the Red (Salmon) coloured one, though it’s not yet up for pre-order. Personally I’d be almost inclined to go with the White for the interesting fractal design which ‘pops’ a little more on the rear. The sides of the phone have a very industrial looking set of hardware buttons – including a dedicated hardware camera button. There’s a fingerprint scanner built-in which allows you to use any of your ten fingers to swipe for biometric security. The phone ships with Android 4.4 – and that’s a conscious decision. They’ve monitored the launch of Lollipop and noted the issues which have befallen some handset and have taken a cautious approach to updating the phone before the software is really ready. But when it comes, it will come fast because the Saygus V2 is stock Android and there’s even options to have root access for developers – that’s right, it’s developer friendly. But it’s not just phones that Saygus will be selling, they’re looking to being supplying premium accessories for their handset as well. They already have a premium set of earphones for the Saygus V2 and they’ll be adding a wireless video receiver as well to allow you to play games or mirror your screen on a TV. Availability isn’t something that’s known yet. Nor is the way they’ll deliver the phones to overseas customers – and remember you’ll have to pay extra for shipping when it’s ready. What you can do is pre-order if you’re ready for US$599, or sign up to their News Flash on the site to potentially take advantage of special pre-order offers. We’re looking into getting a Saygus V2 for review when they’re ready to go, but from the initital look at the phone it’s going to be a monster. Dan, a number of the specs have an asterisk against them. What does the asterisk denote? That’s a big risk to buy a phone from a smaller nearly unknown OEM for $600US clams. Also, the use of a very old processor is a strange decision. OnePlus had it right to price at around $300US for their first foray into the international market. I think it’s definitely targeted towards developers and people willing to buy an expensive phone without getting their hands on it first, only to root and void the warranty straight away. It seems like this is what the Nexus 6 should have been. It’s certainly a lot of phone for the money, but I’d be wanting to see a few more real world reviews before committing to one. That spec list is pretty impressive though, and I dare say that’ll sway a few people, especially those who like to use SD cards and still want to use a 5″ screen. Very old? I’d hardly call 1 year “old”. Stop thinking specs are everything.